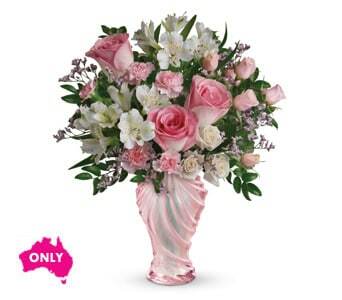 Dress up Mums special day with an exquisite Love glass vase sculpted to resemble the folds of a luxurious gown. 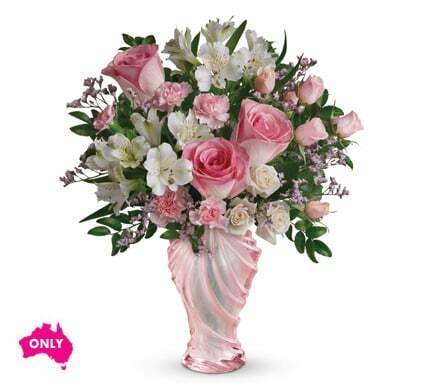 Filled with pink roses and other favourites, it is guaranteed to be a huge hit! The arrangement sent looked nothing like this.